Written in a lively and accessible style, Antiquity Now opens our gaze to the myriad uses and abuses of classical antiquity in contemporary fiction, film, comics, drama, television - and even internet forums. With every chapter focusing on a different aspect of classical reception - including sexuality, politics, gender and ethnicity - this book explores the ideological motivations behind contemporary American allusions to the classical world. Ultimately, this kaleidoscope of receptions - from calls for marriage equality to examinations of gang violence to passionate pleas for peace (or war) - reveals a 'classical antiquity' that reconfigures itself daily, as modernity explains itself to itself through ever-expanding technologies and media. 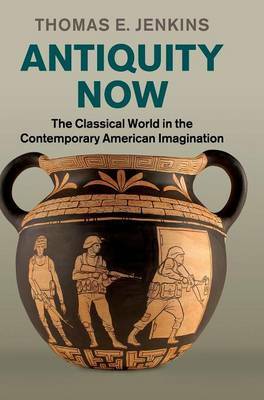 Antiquity Now thus examines the often-surprising redeployment of the art and literature of the ancient world, a geography charged with especial value in the contemporary imagination.